A really huge advantage both Facebook and Oculus have over their competitors in the VR sphere, is their association with each other. 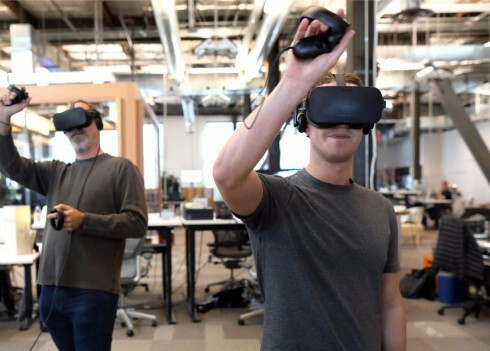 While the former can provide the latter with funds, Oculus can help Facebook build the next social network — a social network that uses VR in copious amounts. Oculus has rolled out a brand new update that lays down a lot of focus upon the social networking part of VR. The company has introduced an events app that will allow folks to view 360-degree videos in Oculus Rooms. In case you need a quick reminder, Oculus Rooms is a place in Virtual Reality where you can hangout with your buddies, change you avatar and play board games. Interestingly, Facebook is launching the feature outside of the US first. Livestreaming will come to the US — after all, US has one of the largest gaming communities across the world. Oculus has also added voice search to the Oculus Home platform. This new addition is available upon both Rift and Gear VR headsets. This addition is more important than you think. After all, despite what you may think regarding the near infinite real estate available for a keyboard, it is not easy. You really don’t want to type much in VR. So, the voice search support makes sense. Users will now be able to search for games and titles of their choice using their voice alone. The feature is initially being touted as a Search feature, it is likely to expand and prove to become useful in a host of other situations as well.